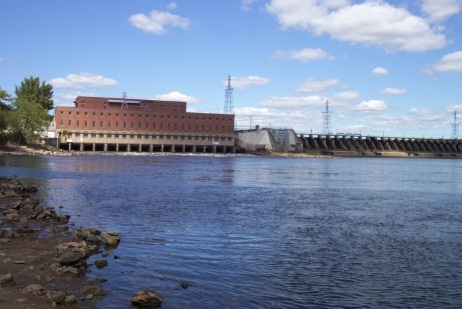 Our Prairie du Sac Dam is marking 100 years of operation next month, and the public will get a rare opportunity to tour the hydroelectric facility as part of the celebration. We are partnering with the Sauk Prairie Area Historical Society to offer public tours of the dam the weekend of September 12. The tours will begin and end at the Tripp Heritage Museum, 565 Water Street, Prairie du Sac. Tour participants will take a five-minute bus ride from the museum to the dam for the 90-minute tours. The museum will also feature a display commemorating the dam’s 100th anniversary and the corresponding formation of Lake Wisconsin. The tour costs $5 for adults and children, with all proceeds going to the Tripp Heritage Museum to support its programs and displays. The tours will take place from 3 p.m. to 6 p.m. Friday, September 12, and 9 a.m. to 3 p.m. Saturday, September 13, and Sunday, September 14. Friday tours are already sold out, and Saturday and Sunday tours are beginning to fill up quickly. Tour reservations will be filled on a first-come, first-served basis. Tour directors will include retired and current Prairie du Sac Dam employees. Photos will be allowed in all areas of the facility. For safety and clothing requirements, event details and to purchase tickets for specific time slots for public tours, please visit our website. To find out more about all the events commemorating the Prairie du Sac Dam 100th anniversary, please visit: www.alliantenergy.com/pds100. Take control! Manage your Alliant Energy account online. Posted on September 12, 2014 | Comments Off on Take control! 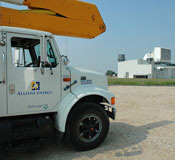 Manage your Alliant Energy account online. It’s quick and easy. Sign up now. Comments Off on Take control! Manage your Alliant Energy account online. Power Wisconsin project completed near Auburndale, Wis.
Posted on September 12, 2014 | Comments Off on Power Wisconsin project completed near Auburndale, Wis.
We’ve completed another Power Wisconsin Project. The project involved rebuilding the Auburndale Substation, which will significantly improve the reliability of electric service for residents and businesses in the Auburndale area. The Auburndale Substation is near the intersection of Trestik Drive (CTH F) and Rangeline Road about a mile and half east of Auburndale. We completely rebuilt the substation to allow it to accommodate a higher electric load. The Auburndale Substation rebuild was needed because of the advanced age of the equipment. The substation transformer performed well over the years but it was installed in 1963 and needed replacement. The new equipment will boost the capacity, increase reliability and add to the useful life of the substation. The company’s total investment in the substation rebuild and surrounding overhead and underground distribution work was over $1.9 million. Our 2014 Power Wisconsin Plan includes approximately $74 million of planned investments this year in upgrading overhead and underground electric lines, electric substations and natural gas infrastructure. Power Wisconsin’s goal is to improve system reliability, reduce outages, and provide more reliable power to our Wisconsin customers. Comments Off on Power Wisconsin project completed near Auburndale, Wis.